One bizarre feeling about eating in a newly opened restaurant, is that, you know you’re going to eat but you don’t know what you’re going to expect. 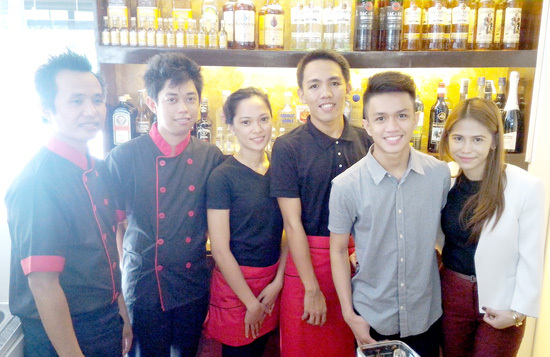 And this happens again with my dining experience with Potions Grille and Resto Bar. 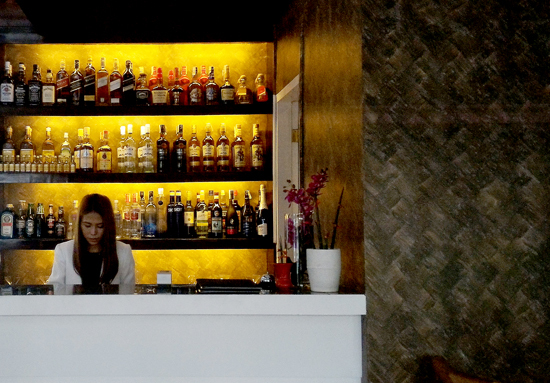 It’s exciting to note that the food scene of Davao is constantly evolving. One recent addition is Potions Grille and Resto Bar at Plaza de Bole along Torres St. It's very accessible, it’s neat, uncomplicated, comfortable place. Tables are amply spaced so more room to move around and I like it! 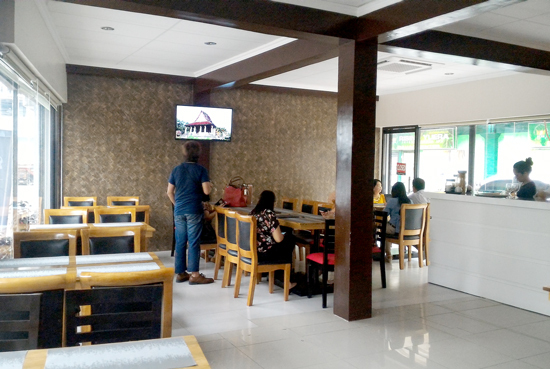 On the menu is a good list of Asian specialties – Korean, Japanese and Filipino food all at affordable price, well, that’s Davao - food so diverse, price so friendly. And Woman Elan Vital was one lucky earthling, I got to sample few of what’s on the menu. 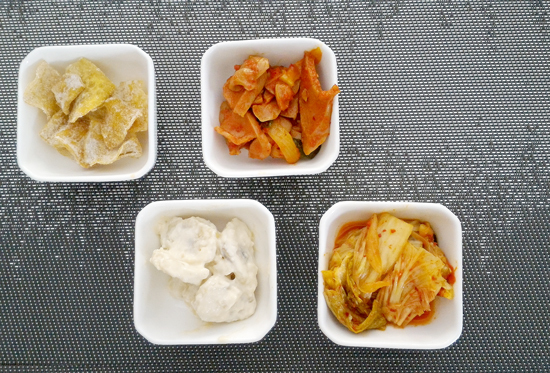 Sweet Banana Chips, Hungarian Sausage, Creamy Sweet Potato and Kimchi. Banana chips for the win. I like it, it is not your usual greasy chips scored out of the supermarket shelf. Recommended! 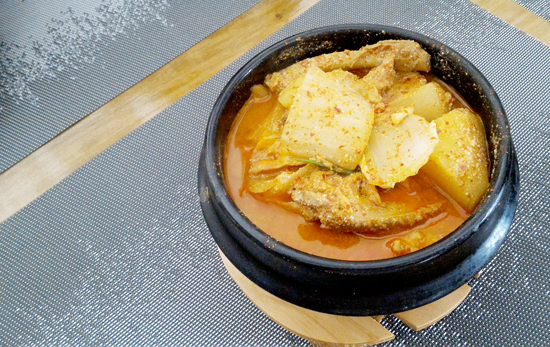 This traditional korean dish is served doubly hot - temp and spiciness. Potions' version is a bit tamer in terms of spiciness. Maybe because most Pinoys have low tolerance levels to spiciness - I'm one of those, so this is just right. 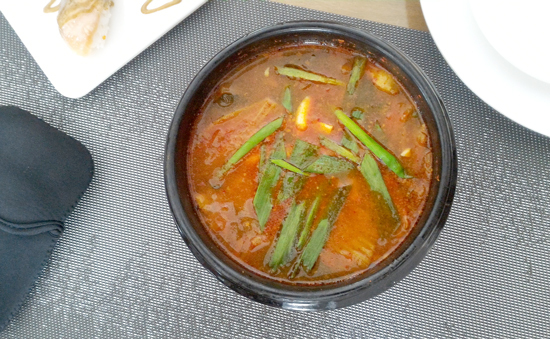 Watching that Korean Drama, Let's Eat made me want to devour a wokful of this stew. They made it appear like there's no chili at all. Man, those peeps really has some superpowers. But as I said, got low tolerance level to spiciness - so pass. 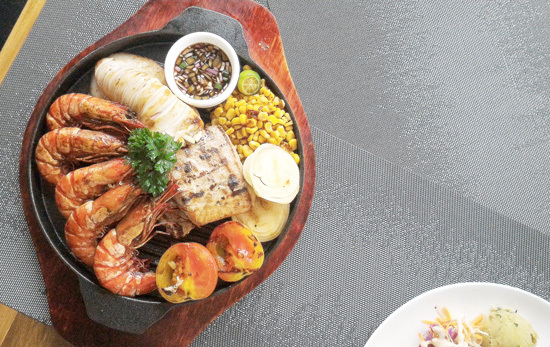 But if you're looking for traditional Korean dishes, with lots of other Filipino dish options on the side, then Potions is the place to be. 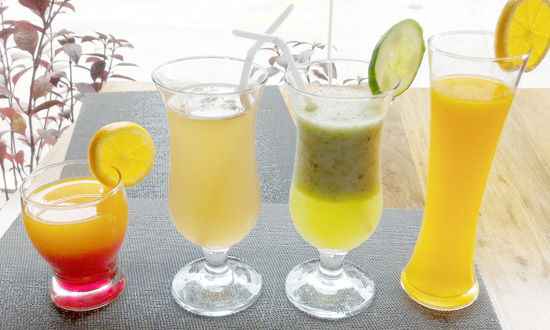 Potions Grill and Resto Bar also have set meals on the menu. Constant on the platter is the rice, the balled mashed sweet potato (I love it), the coleslaw in purple cabbage and the fruit in syrup. Options are Pork and fish cutlets. 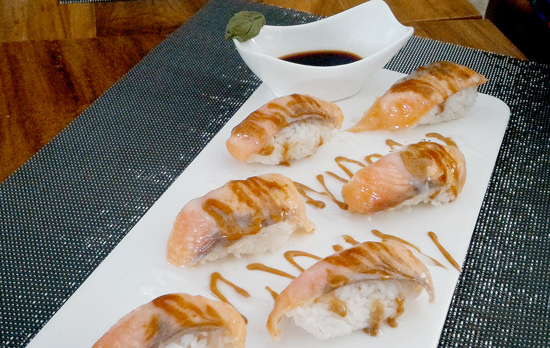 Sweet Food Deal and Recommended pick! 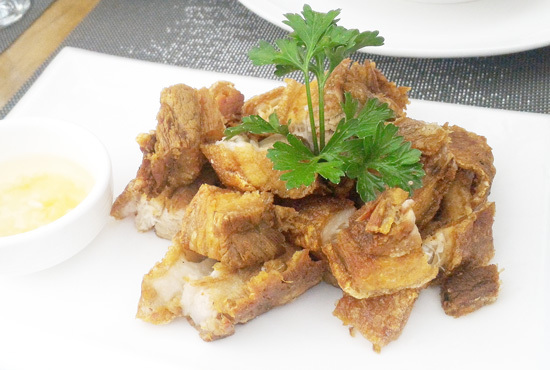 Drop everything and ask for a platter of this Lechon Kawali instead. If you're eating lechon kawali all too often in your whole life, you would know what's good and not. 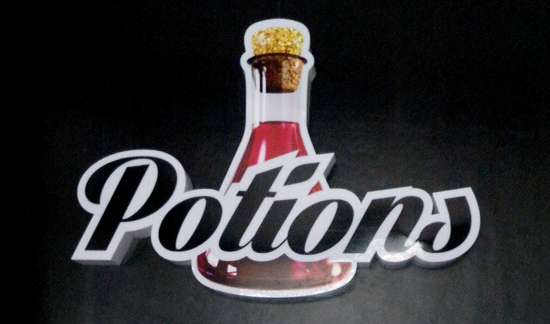 Potions' version is the bomb! Nganung lami man ni, hahaha! 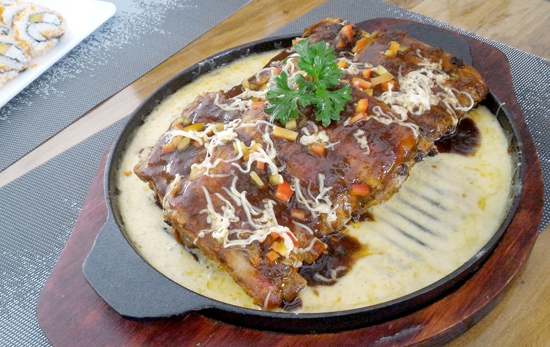 This BBQ Back Ribs is the most pricey one on the menu. The meat fall off the bone, the sauce - so good! The yellowish stuff around the meat is melted Mozzarella, put them all together and .... didn't your mother ever tell you to use kubyertos when you eat? Nganung nagkinamot ka? Lami man gud! LOL! Another pricey set on the menu. But they say, you work to find money to eat. So, wag kang kuripot! Hehehe. 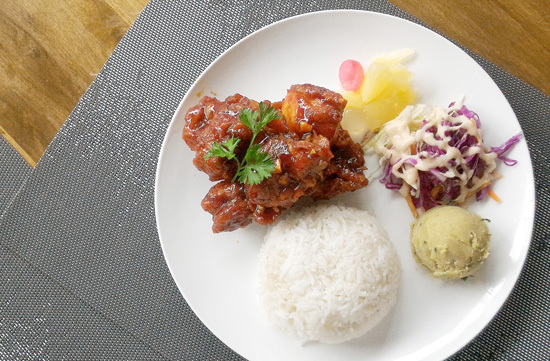 If you want real, filling and satisfying food, this platter deserves a space on your table. 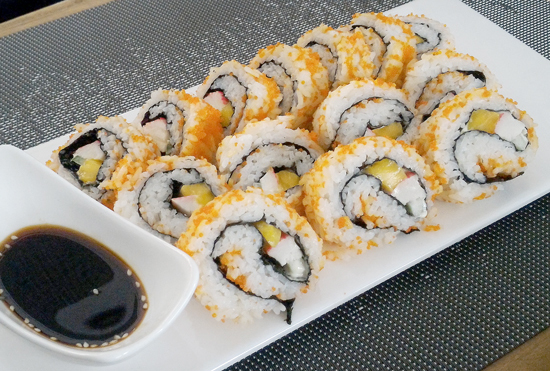 Guaranteed, cravings satisfied! 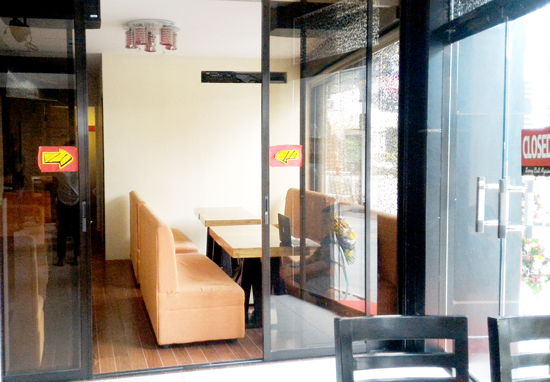 The food selections served were surprisingly delightful, worth every peso you spend. What’s more amazing was that, I usually picture a chef – middle aged or so. And because the food was so good, we requested if we can honour the Chef who made us happy. And so they came out – man, look at them, I didn’t expect them to be so young - and yet they made food so good. This world needs a lot of them, I swear! Thank you, Chefs – may your tribe increase! 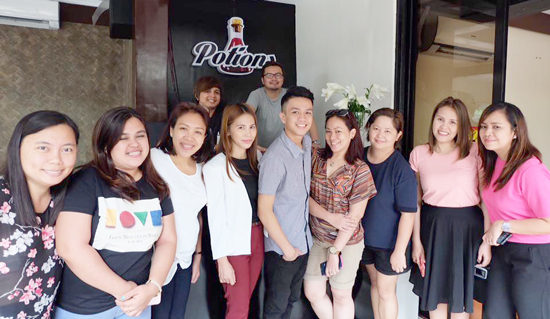 Thank you Potions Grille and Resto Bar for having us!